Owner Dan Sovereign is a third generation painter with over 30 years of complete painting and waterproofing experience. He specializes in custom house painting and protecting his customers' investments. 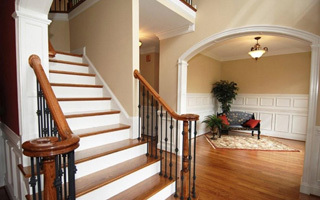 Sovereign Painting are your premier residential and commercial Sacramento painting contractors serving the needs of the greater Sacramento, CA area. We service all types of residential and commercial projects with complete knowledge and expertise. Our experience and attention to detail set us apart from our competition. Sovereign Painting has earned a reputation for excellence. Our consistent outstanding customer service, unparalleled knowledge and painting expertise has made us a local leader. Our dedication to customer satisfaction has always been the key to our success. One call to our company, and you’ll see how our experience makes the difference between good work and excellent work.